7.5" SS kinship bracelet. 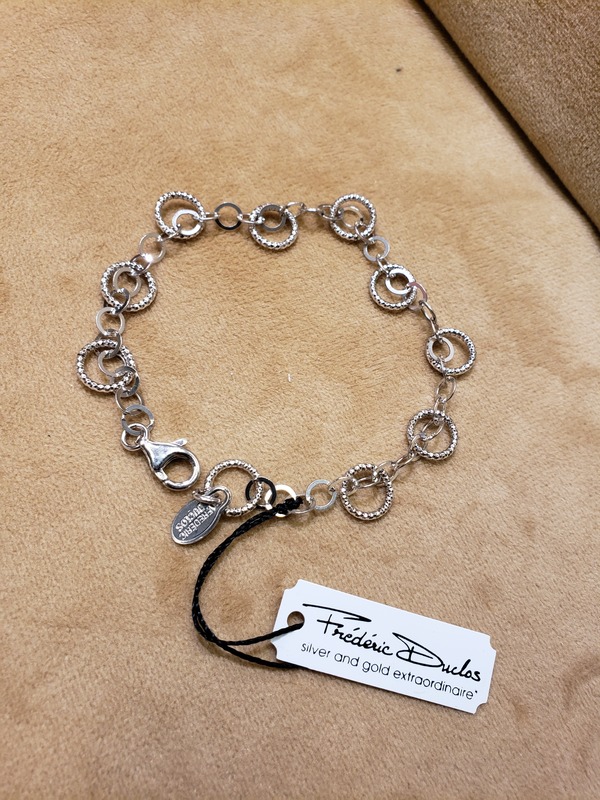 Interlocking rings with 10 larger sparkle rings connected throughout the bracelet. The bracelet has a large spring ring clasp. Rhodium finished.